Two heart-shaped keys, one heart-shaped padlock. The challenge? Simply open the lock. 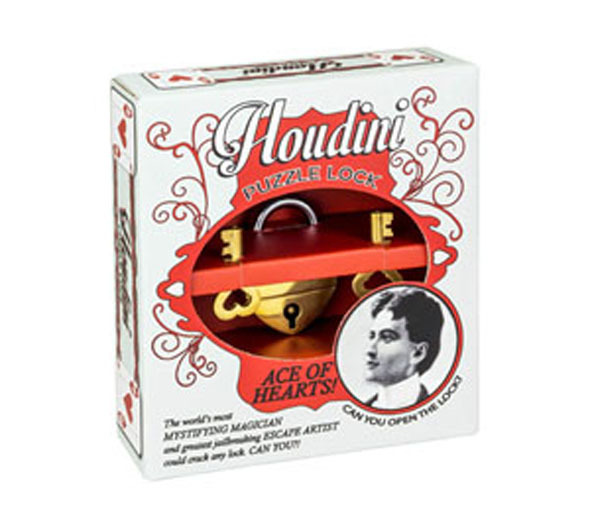 It sounds straightforward, but rest assured that all is not as it seems with the Ace of Hearts puzzle lock! Trying to unlock it as you would a normal padlock will result in miserable failure; you'll have to think outside the box if you want to overcome this tricky lock-cracking puzzle. Harry Houdini never left a lock uncracked. Now it's your turn to try your hand at the art of lock-breaking; is your grey matter up to our puzzle? Figure out the solution (it might take you a while!) 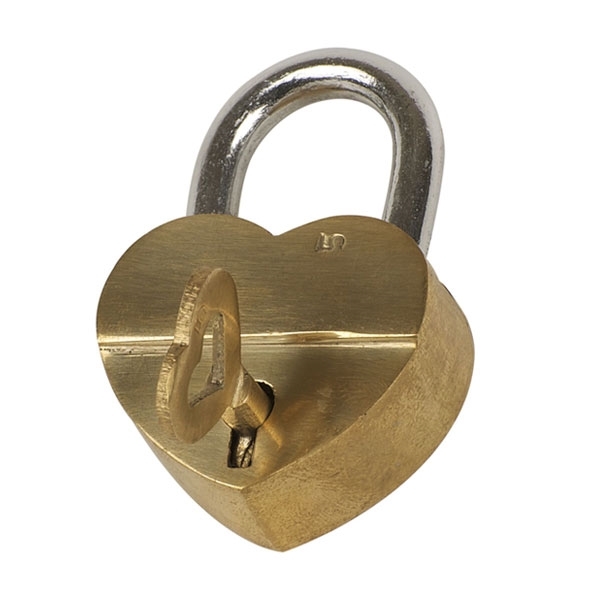 and, once you've done that, challenge your family and friends to open that heart-shaped lock. They'll be just as baffled as you were! You'll find the Ace of Hearts solution in the video. This is a level 1 brain teaser, which means that it's one of our easier lock-cracking puzzles. If you fancy something a little more challenging, try Under Lock and Key (level 2) or Dead Lock (level 3).